Designed to delight with a touch of satin and spice, this port-style wine celebrates the excitement of Vanderbilt house parties when friends and family were entertained with boundless hospitality. 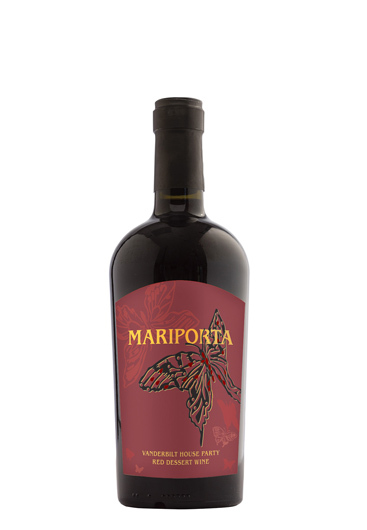 Inspired by the delicate winged details on a gown worn by a guest at Biltmore, Mariporta flutters between the Spanish word for butterfly and the expressive style of this elegant red dessert wine. Velvety smooth and fruit-forward with notes of caramel, mocha, and candied violets; perfect with desserts or as an after-dinner drink. Try this new release, proudly handcrafted by our Winemaker on Biltmore Estate.